Be one of the first to own one of the most powerful naturally aspirated 9.2 deck Ford Cleveland’s below 7,000 on pump gas, for both the track or on the street. 80% of all machining is performed by the CNC process and on site at RCS. This engine is designed with CHI Cylinder heads and CHI intake manifold, all CNC machined, while the ports, chambers and seats from raw are CNC machined by RCS creating maximum flow rates and the highest velocity possible for each cylinder equally. This engine combination haves tremendous throttle response due to the unique port design, high flow rates and high air speeds produced through the induction. Additional test revealed power levels approaching near 800Hp at 7,000 on pump gas with this unique combination. 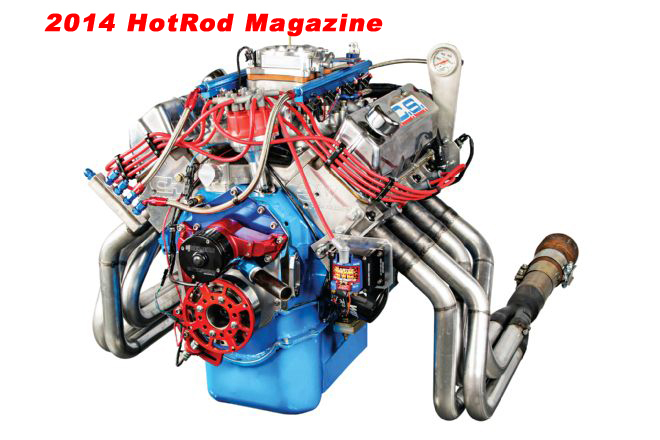 The 432/351C 9.2 deck 750+HP/660+ft.lbs. is naturally aspirated and fuel injected, yet can be carbureted. The engine is new complete and ready to run. To install all you need is a 12v source and a fuel line, peak Hp is @ 6,500 - 6,800 and peak torque is @ 5,100-5,200. 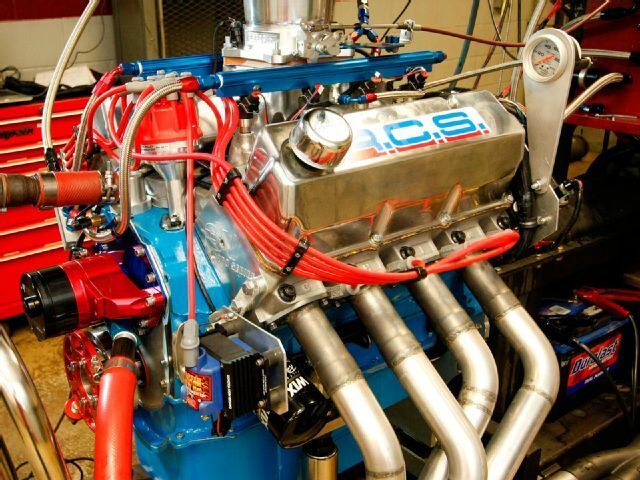 Engine includes a Holley HP Electronic Fuel Injection system with 1,375 cfm throttle body fully dyno tested and programmed with a complete wiring harness mounted to the engine for ease of installation. Full details on the engine will be disclosed to the buyer along with the dyno sheet. This engine runs on 93-96 octane fuels. Engines are currently a 6-8 week waiting period, RCS only inventories one of each engine so product is limited. Full instruction on care and maintenance is supplied with each engine. 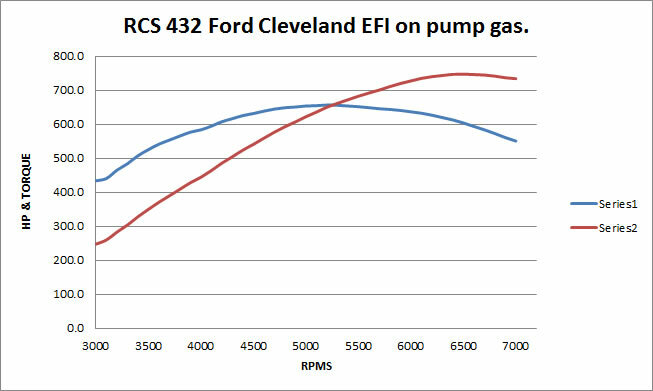 This is a dyno run with the RCS/CHI3V248 heads on a 432 EFI Cleveland with 11.5-1 compression on pump gas. The engine made 747Hp @ 6,500 and 657 lbs. torque @ 5,200, at the 2013 Engine Masters.